One thing I’ve noticed is how much I feel called to imitate Mary. In this Advent season, Mary plays a particularly prominent role. I’m currently praying the Immaculate Conception novena in anticipation of the Feast of the Immaculate Conception and the official start of the Jubilee Year of Mercy. But I can’t talk about Mary without also talking about her most chaste spouse, Joseph. As part of Advent, some of my friends and I are doing meditations on Joseph and Mary. St. Joseph and the Blessed Mother were there for me during a retreat I staffed last spring and I love imagining the relationship that they had with each other. Our Lady, in giving him her hand, gave him also her whole heart. Never did a wife love her husband so tenderly, so ardently, nor revere him more profoundly. Mary and Joseph, says St. Bernardin of Siena, were but one heart and soul; they were two in one same mind, one same affection, and each of them was the other’s second self, because Our Lady and he were, so to speak, only one person. The heart of Mary with that of Joseph, and the heart of Joseph with that of Mary, who ever could imagine a union so intimate, a grace so great! Can you imagine what they were thinking as they were journeying from Nazareth to Bethlehem? Mary is heavy with child and in spite what a certain song asks, she did know her part in the narrative, but it’s still overwhelming to her. Joseph is equally overwhelmed because he will have to raise a child that isn’t actually his own and sharing his life with a woman who’s never sinned. It takes a man of great humility to accept this great responsibility. For today, I want you to reflect on Mary’s Magnificat and this wonderful song from MercyMe. 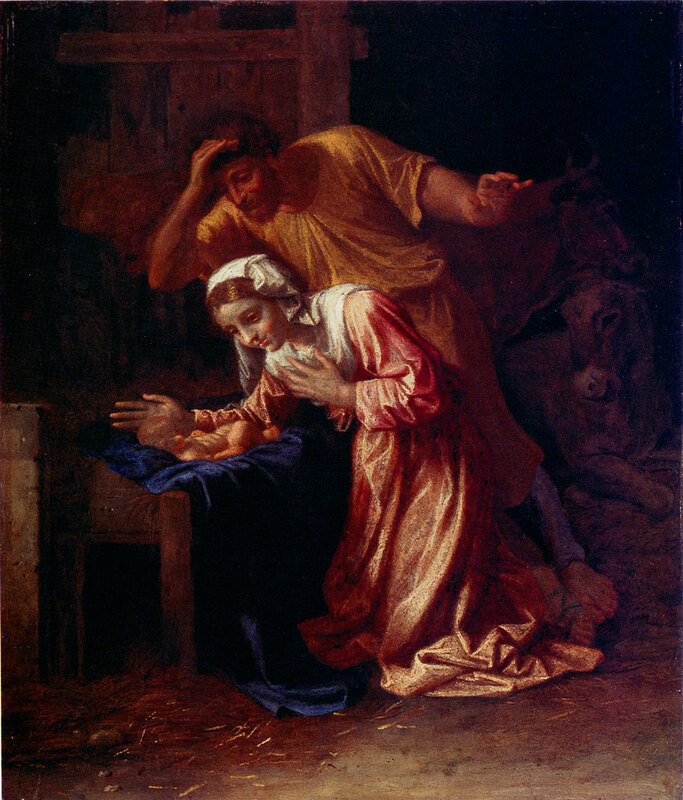 Contemplate what Mary and Joseph may be thinking as they journey with us this Advent.